This week, the return of a favorite series among Marvel fans young and old hits comic shop: MARVEL TEAM-UP! The series was originally a vehicle to see what happens when various heroes from the Marvel Universe met and joined forces with Spider-Man. 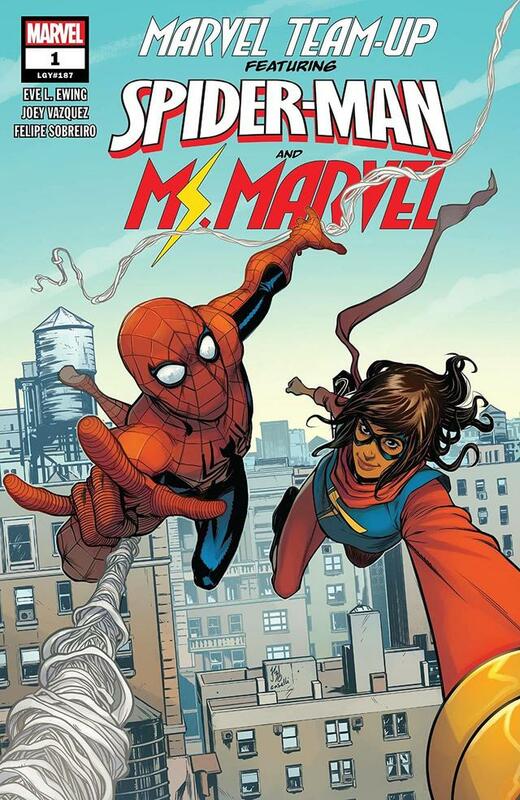 In this relaunch, Spider-Man passes the torch to Ms. Marvel, who takes the reigns as the focus of the series. If anything, the new series will show that not EVERY successful team-up needs to include the wall-crawler. Some team-ups are successful when the participants aren’t even working as a team at all. Still, they make for some great chemistry and great stories. Let’s look at some of the oddball pairings in the Marvel Universe and why they work. In the world of professional wrestling, careers are intertwined not because of their friendships, but because of their rivalries. Randy Savage and Hulk Hogan. Ric Flair and Dusty Rhodes. Becky Lynch and Charlotte Flair. Whenever these superstars entered the ring against each other, it was magic. Wolverine and the Hulk will never be the best of friends. Since Wolverine’s debut in INCREDIBLE HULK #181, their violent history with each other has been legendary. What makes the pair a part of this list are the magic and iconic moments created that could only be created by these two. There’s the classic cover to INCREDIBLE HULK #340, with Hulk reflected in Wolverine’s claws. And seeing Logan ripped in half during ULTIMATE WOLVERINE VS HULK will never be forgotten. WOLVERINE: OLD MAN LOGAN GIANT-SIZE featured their primary battle, resulting in Logan being eaten by the Green Goliath, only to heal himself and burst through the Hulk’s stomach. While this may not be a team-up in the traditional sense, anytime magic like that is created, it’s the combination of both parties that should get the credit. One is one of the smartest, toughest, and nicest heroes in the Marvel Universe. The other is arguably its most savage hunter, going to the utmost extremes to prove why he is the best at everything. If you put them together, you get a team-up that is nothing short of adorable. Squirrel Girl and Kraven first met in UNBEATABLE SQUIRREL GIRL #1 when Kraven was hunting Tippy-Toe. She convinced Kraven that he should be going after bigger game, which set him off on a journey to capture the Marvel Universe’s greatest monsters. They’ve teamed up against wealthy socialites who hunt super beings for sport and attended social gatherings in escape rooms run by obscure ‘90s Super Villains. While Spider-Man brings out the rage and killer instinct from Kraven, Squirrel Girl brings out the normalcy and fun side of Kraven, like wearing a lion’s mane as casualwear. 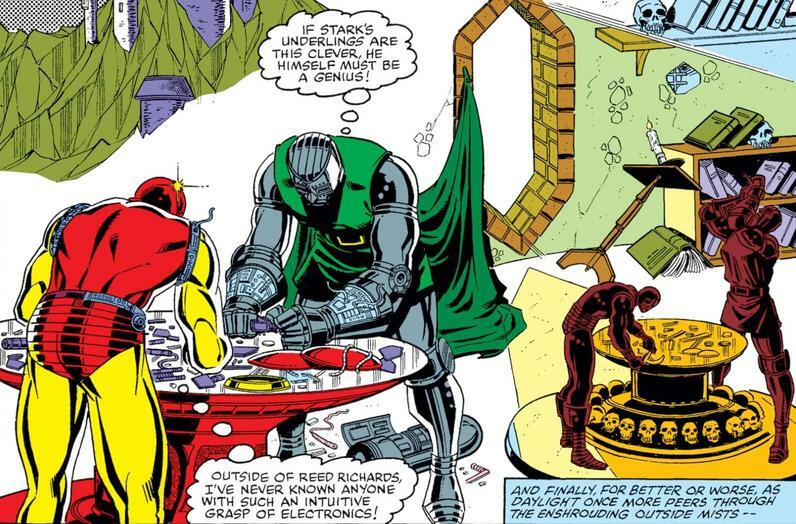 When it comes to debating who is among the smartest people in the Marvel Universe, Tony Stark and Victor Von Doom should always be in the conversation. (Even though Moon Girl aka Lunella Lafayette is obviously smarter than both of them put together.) If these two were to combine their efforts, the world (and universe for that matter) might not stand a chance. We were able to see hints of this possibility in the classic “Doomquest” storyline from IRON MAN #149-150. Having been thrown and stranded back in time during the era of King Arthur, Stark and Doom decide to put their differences aside to create a time machine out of their respective armors and return themselves to the present. It’s hard to figure out what’s cooler: that they teamed up in the first place or that they inadvertently already had the materials for a time machine in their suits. While that alliance did not last long, it was years later that a redemption-seeking Doom became closer to Tony Stark than ever before. Following the events of CIVIL WAR II, Doom takes on the mantle of Iron Man. He’s Doom, so of course, no one trusts him, despite his true intentions. You can count the number people worthy enough to take up the role of the Armored Avenger on one hand. But even though he will always be considered one of Marvel’s greatest villains, Doom gave it his all. This pairing makes no sense and all the sense in the world at the same time. 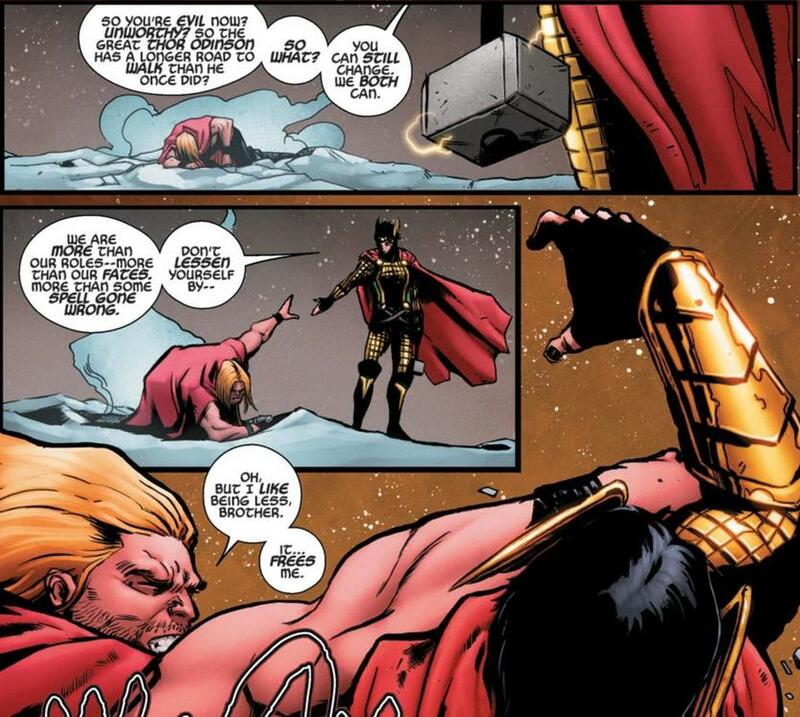 Since his debut in JOURNEY INTO MYSTERY #85, Loki has been a thorn in his brother’s side. His love of making his brother squirm was so great that the god of mischief accidentally caused the formation of the Avengers. With the arrival of the WAR OF THE REALMS, it will be interesting to see just where Loki’s loyalties will lie. Will he take the side of what he thinks will bring him the most power, or will he join his brother and other heroes in putting a stop to it? Any team-up with Deadpool shouldn’t work. He’s annoying. He won’t shut up. He also has no problem with stabbing someone to death if it’s going to win him a fight. Fortunately for the Merc with a Mouth, his decidedly off-kilter moral compass points true north occasionally, which allows him to team with the unlikeliest of partners. Captain America allowed him to be an Avenger. He’s been partners with Cable. He’s gone on road trips with Spider-Man. 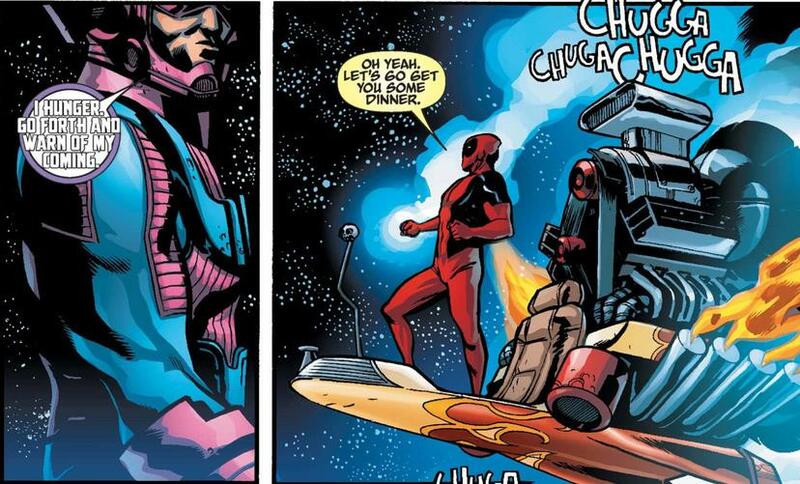 He even helped Rogue and Gambit on a space adventure while they were on their honeymoon. Yes, he still did all this while continuing to be a complete tool throughout, but somehow it worked. Deadpool is arguably the best partner you’d never want, but are glad you had in the end. MARVEL TEAM-UP #1, written by Eve Ewing with art by Joey Vazquez, is available now online and at your local comic shop!